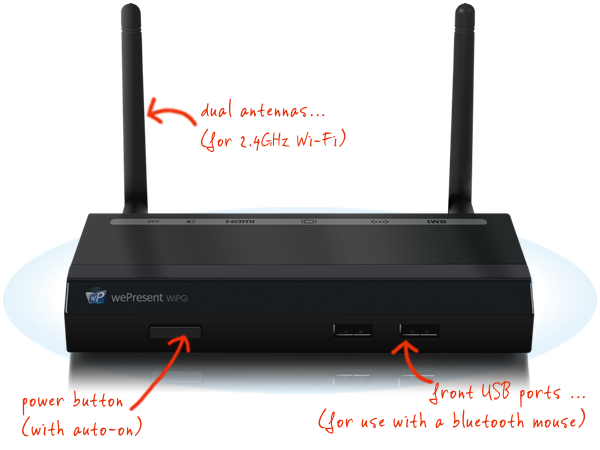 ​The basic 1080p wireless presentation system offering wireless screen sharing from any device. The entry-level model is affordable and packed-full with features. The WiPG-1000 is perfect for classrooms, meeting rooms, and small huddle spaces. The wePresent WiPG-1000 wireless presentation system offers all of our basic features including an auto-on feature that assures your system is always ready when you are. Download the WiPG-1000 Spec Sheet.